I love Sum 41, and I know all of you do as well. Sum 41 has really helped me through the hardest times of my life, and I would really like to show them my appreciation somehow! Back in the days when fan mail was still a thing, artists and bands had addresses to send too, or at least email addresses. But Sum 41 hasn't got anything like this (at least that I can find)! I know there's social medias like Facebook and Instagram but (1) I don't have any, and (2) it just feels more "real" sending a letter or at least an email. Anyone have any suggestions? Well, there was a time when Deryck (and maybe Cone sometime?) roamed the forums themselves and answered/read our posts. I'd say that's better than fan mail! But I don't know how those things were arranged, or if they were just purely voluntary. 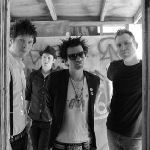 HugoDisasters wrote: Well, there was a time when Deryck (and maybe Cone sometime?) 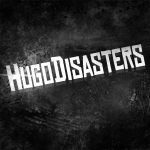 roamed the forums themselves and answered/read our posts. I'd say that's better than fan mail! But I don't know how those things were arranged, or if they were just purely voluntary. The band members used to browse our forums on their own! There were a couple of times that we arranged a chat, maybe we could try to get those back. As for sending messages to the members, I'd say getting a social media profile would be the best bet. Hey, I joined Facebook and Twitter for the same reason. I'm here to add to the social media suggestion: the band definitely do go out of their way to connect with fans and can get to know you most through there than anywhere else. We are lucky for their activity online! But, man, I remember too when the only form of communication was through their official website Q&A. I will have to pull out my screenshots of those messages for old times sake!